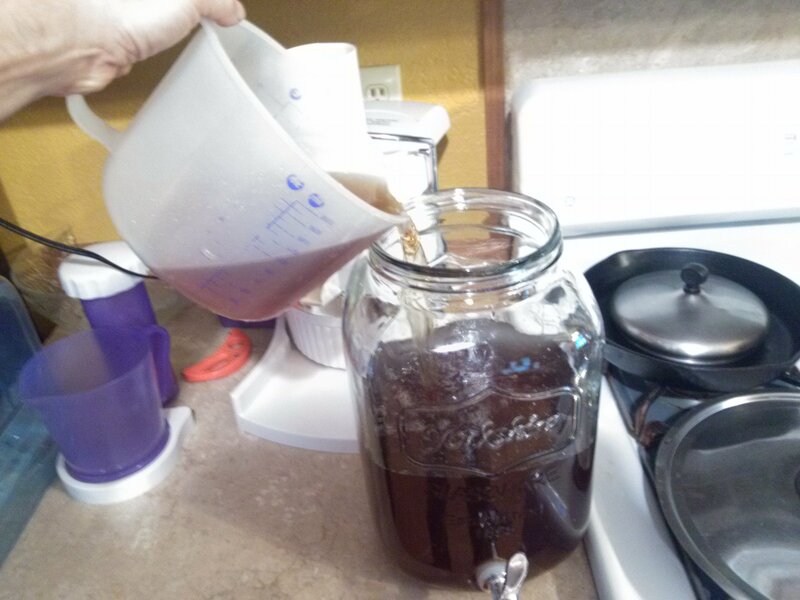 Kombucha: Fun with SCOBY! 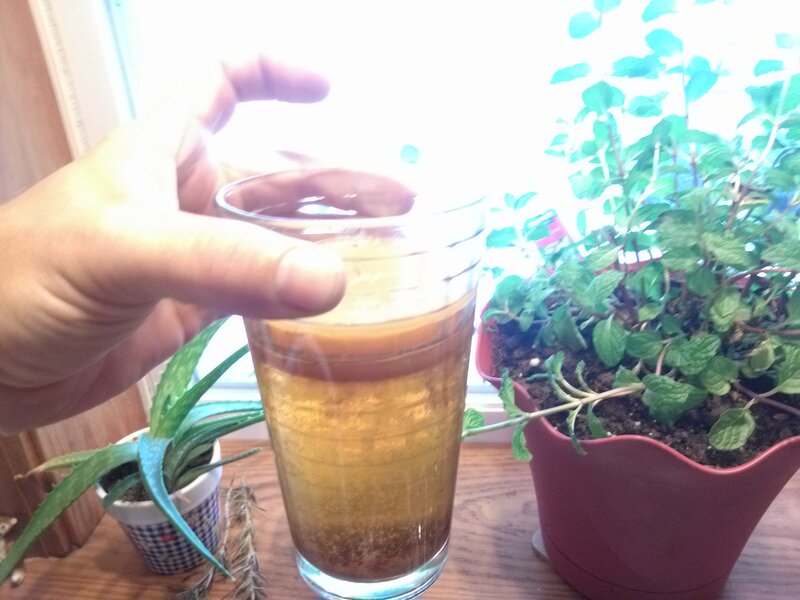 A pictorial how-to about a probiotic fermented tea. 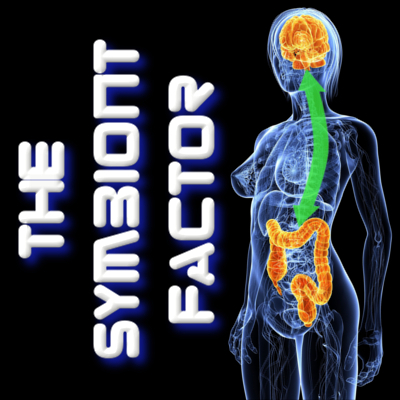 If you have read some of the information about the health benefits of probiotics and fermented foods, then you know that Kombucha is one of the oldest fermented beverages. It is thought to have at least a 2000 year history as a healthy and tasty drink! I will write another post purely on its health benefits but for the moment, let’s get some brewing as it takes about 7-10 days to finish a batch. That will give us time to review its health benefits before getting to enjoy its taste! They are slimy little guys, so don’t drop it! The floppy rubber like material is cellulose that the bacteria and yeast colony creates as a habitat. Sometimes the scoby may sink instead of floating. While I’ve read that this means the colony is not viable (ie “dead”) I have tested that idea and it still grows and makes kombucha just fine! Some float and some sink though. 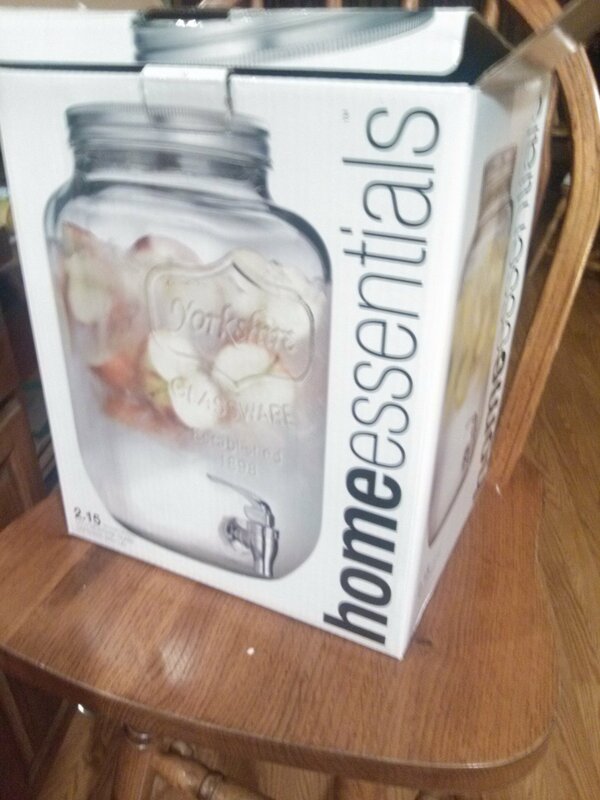 What the “sinkers” do is to stop up the spigot on the jar, which is inconvenient. Since I prefer the scoby to live at the surface, if it sinks I like to make a sling out of cotton cooking twine to hold it there. 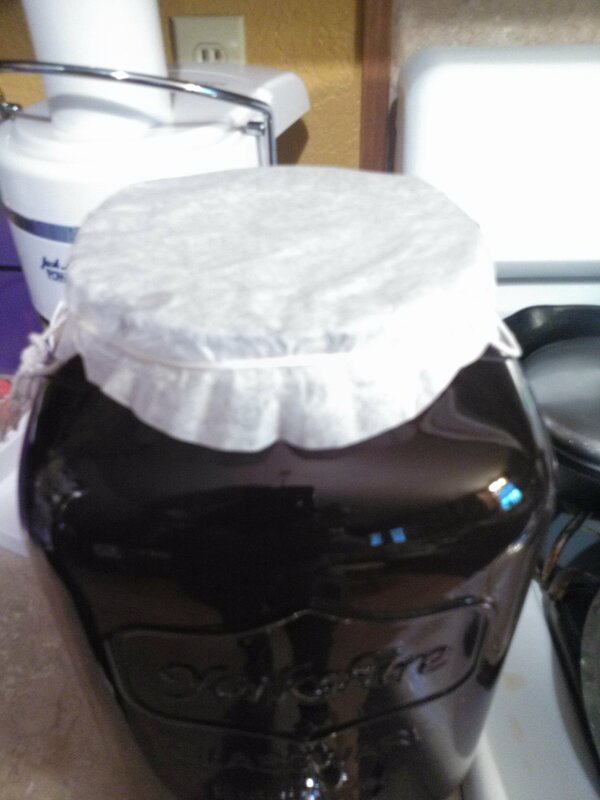 Later, when the scoby has grown and floats more easily, the string can be removed. A small rubber band can hold the string to the edge of the jar. 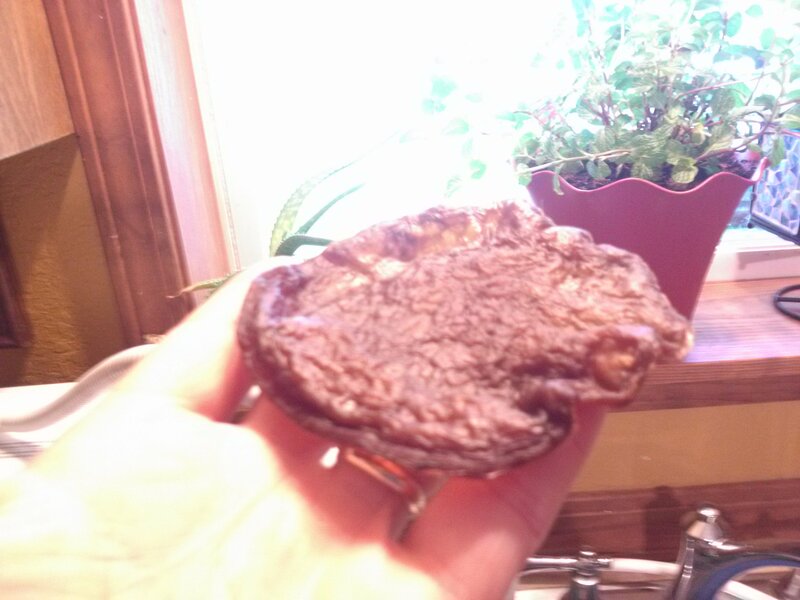 Scobys grow in layers, and you can see I’ve peeled this on into two layers to cover the surface more evenly. The last steps are to put a coffee filter over the top to keep dust and insects out, and place the jar out of direct sunlight. Our favorite place is on top of the fridge, as the temperature is about right and it is out of the way there. 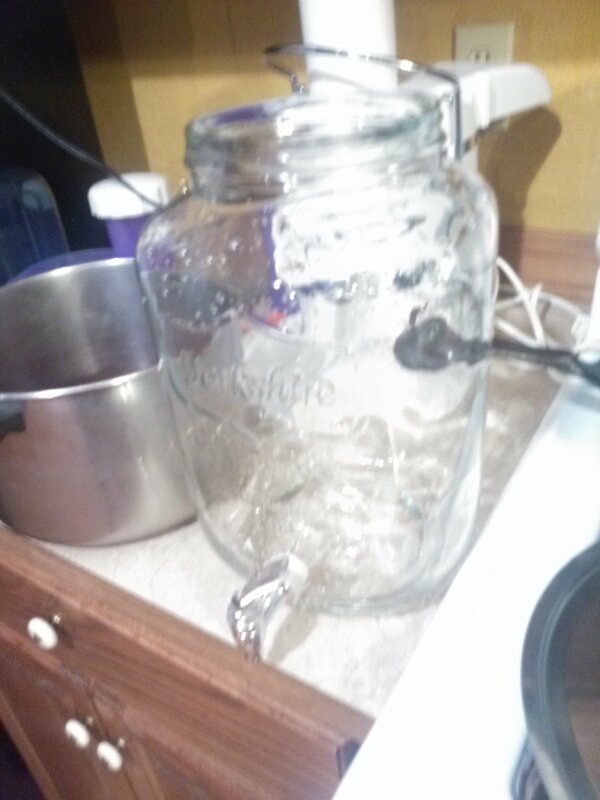 In that last picture, you can see a smaller jar to the left, with lighter colored tea. 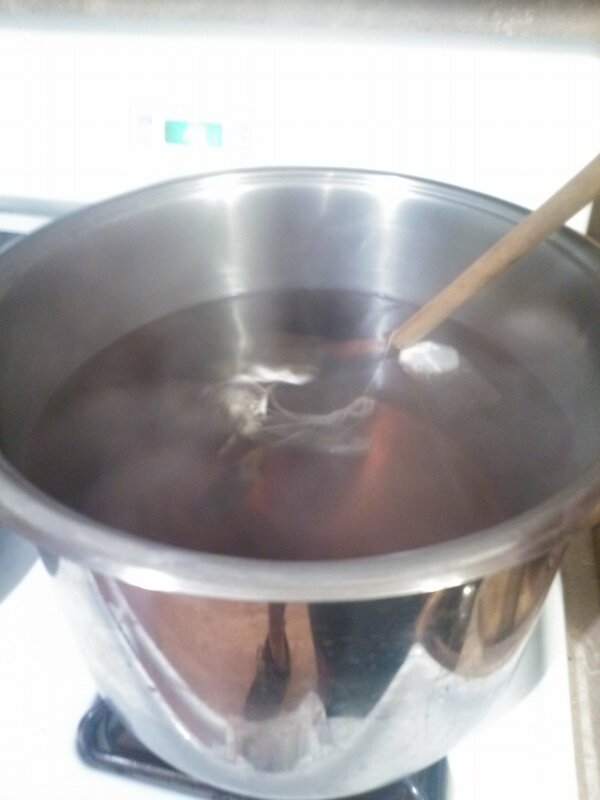 This one has green tea in it, also fermenting into kombucha! Green tea kombucha is particularly good for the liver as I will share later. 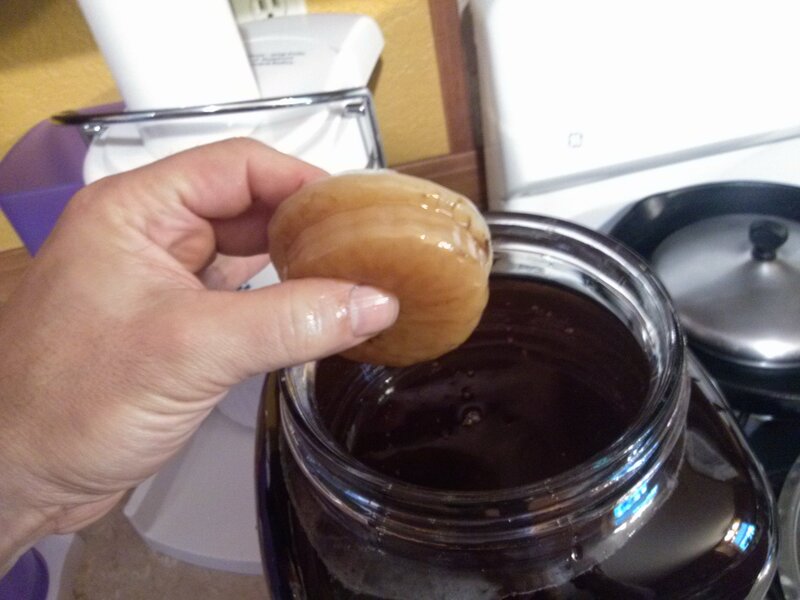 The colony does not grow a solid scoby as fast, though it will ferment the sugar quite quickly. It also seems to be more temperature sensitive and prefers temps in the low eighties. I use a heater pad designed for reptile terrariums under the green tea kombucha jar and that keeps it contentedly fermenting. Now comes the hard part-waiting! It will take a week to ten days, sometimes a bit more, for the batch to finish. 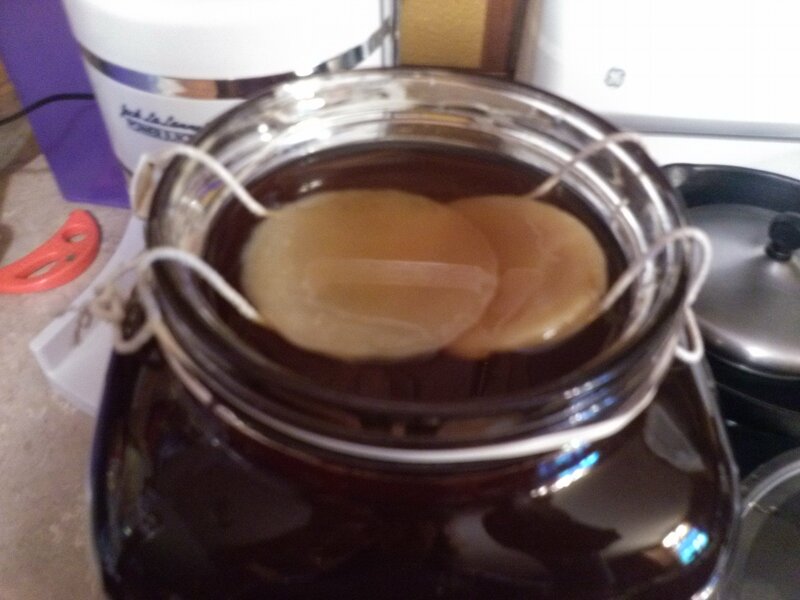 If you had a big scoby and a glass of kombucha like I added here, it will get going faster than if you only added a small scoby or used another small starter culture that was dried. After a few days, tap off a tiny bit to taste. When it tastes vinegary instead of sweet, and is mildly effervescent, it is ready for consumption! Some like it straight up, or over ice cubes. Sometimes we mix it 50:50 with apple juice or pomegranate juice. 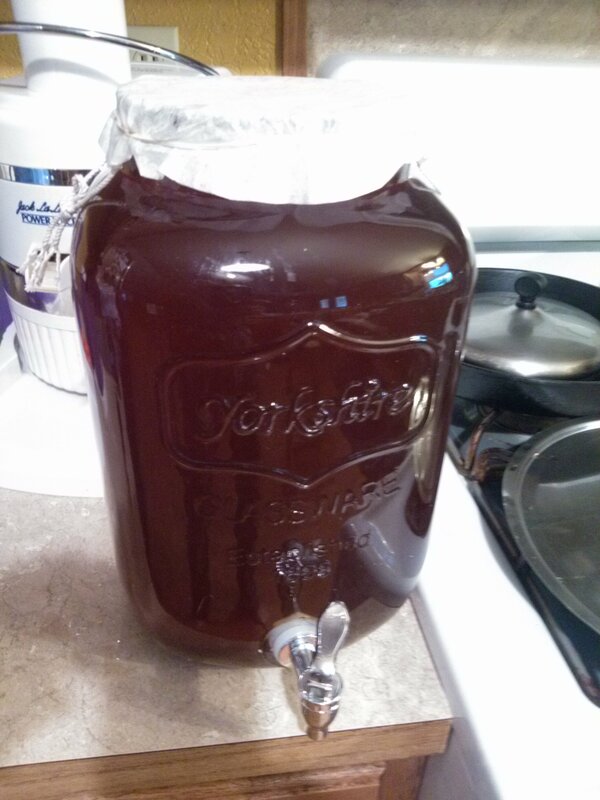 When using a jar with a tap as shown here, you can brew your kombucha as a “continuous brew”. This means that after removing some for consumption, at the end of each day make a pot of tea with volume equal to that which was consumed. 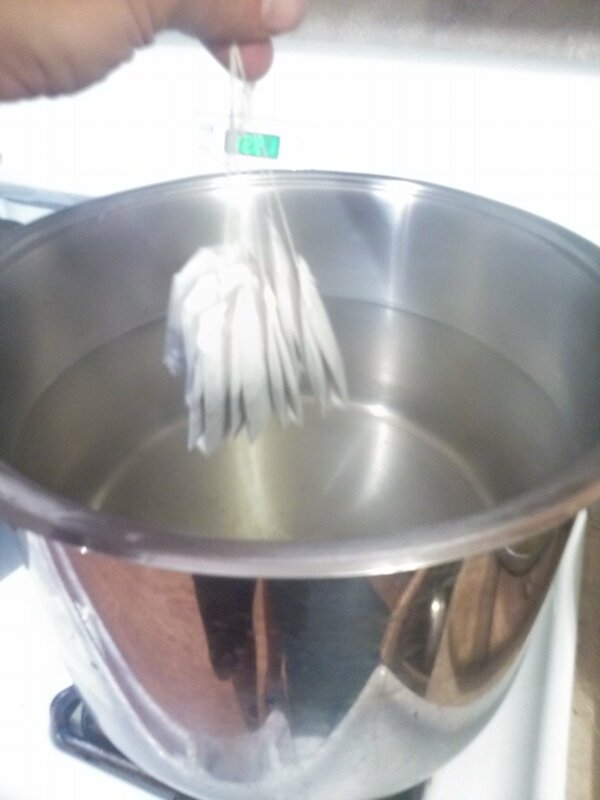 When it is cooled off in the morning, just remove the coffee filter a moment and pour the tea in the top. The culture will convert this small amount to kombucha quickly. An alternative is to bottle the entire batch in glass bottles and start a whole new batch. If you do this, you can add some apple or pomegranate or other juice, cap lightly and leave out for 24 hours. Then cap tightly and place in the refrigerator. 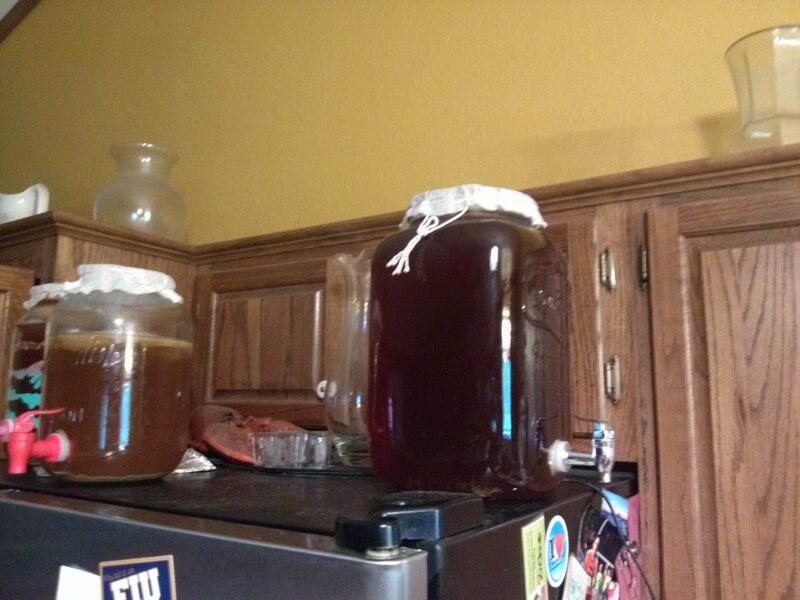 This secondary fermentation step adds to the flavor of the final product and can help create even more beneficial byproducts of fermentation. While we often do this, we usually do not have time for the bottling then making a big batch again. The continuous brew method is very easy to keep up with on a daily busy schedule and offers an ongoing supply of fresh kombucha. Of course you can do both, to have some special flavored batches for special occasions or special people! I am often asked how to tell if the kombucha spoils. There would be two signs to look for, though both are unlikely if your starter is good. One sign would be a moldy scoby. If this happens, you should start over with a fresh one, as the molds will create byproducts that have neither taste nor health benefits and it means the scoby is weak or dying. Normally the bacteria and yeast inhibit the growth of any other microorganism, and so it really cannot spoil. Of course, if it stinks badly or has an awful not-kombucha smell, it may indicate (just like mold) that other organisms are growing. I have never had this happen through many batches of kombucha, but it is theoretically possible if enough things go wrong (water/tea too hot and kills the colony, for example). Lastly, remember to share and pass it on. This means when you scoby has babies, give ’em away when possible! This entry was posted in Uncategorized and tagged alzheimer's, autism, bacteria, bodybuilding, brain, diet, fermented, fermented foods, gut bacteria, holobiont, hologenome, inflammation, irritable bowel syndrome, kefir, kombucha, lactobacillus, microbiome, microbiota, obesity, probiotic, scoby, symbiont, symbiosis, symbiotic on April 27, 2014 by Dr. Richard Matthews.